Design Thinking (DT) evolved at many organizations as the way to solve problems in creative and innovative ways. Much of the thinking behind the DT iterative process focuses on challenging assumptions and redefining problems for products, services or customer experiences. As Design Thinking has taken hold, there has been an increasing demand to raise up its capacity to help solving problems in our business complexities, in our countries and in our lives. 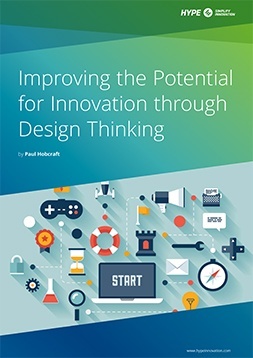 Within this report, Paul Hobcraft lays down a foundation of Design Thinking as we see it today. Thus, the intent is to step back first, then take the step up to the present and then where Design Thinking is heading. It should be more strategic, as it shifts and adjusts to the needs of more complex challenges and problems where traditional approaches are now requiring this different thinking perspective.